An attractive smile helps you approach life with confidence and see yourself in a different light. 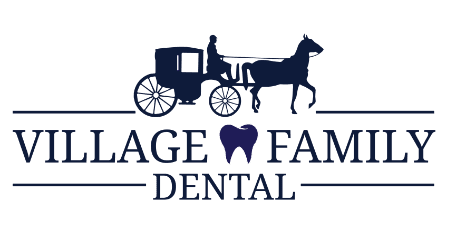 The highly trained dentists at Village Family Dental in Clemmons, North Carolina offer dental implants that replace missing or damaged teeth to restore your confidence and your natural smile. If you're ready to learn more, book an appointment online or call for a consultation today. Tooth loss causes your self-esteem and smile to take a hit. Strong, durable, and aesthetically attractive dental implants help restore confidence that comes with having natural teeth. Dental implants are metal posts that dentists implant into your jawbone beneath your gums. These screw-like posts are now the roots of new teeth. Once a post is in place and your mouth fully heals, a process that typically takes a few weeks, your dentist mounts a replacement tooth onto the post permanently. Due to dental implants, your new teeth look and feel just like the real thing. Dental implants are a time-tested, reliable solution for missing and decayed teeth. If you’re missing a single tooth or a couple of teeth, you could be an excellent candidate for dental implants. Your gums must be healthy, and your jaw has to be finished growing. Dental implants are not appropriate for kids but work exceptionally well for adults. If you're irritated by dentures that slip, must replace a bridge or partial dentures, or are looking for a permanent solution to dental work, dental implants could be for you. Get all of your questions about dental implants answered during a consultation with an experienced dentist at Village Family Dental. Schedule your consultation online or call today. Your confident new smile could be just around the corner.